CHASING FOOD DREAMS: Zespri Kiwi Amazing Challenge: Here’s to 14-Day Daily Scoop of Kiwi Fun! Zespri Kiwi Amazing Challenge: Here’s to 14-Day Daily Scoop of Kiwi Fun! Taking on this Zespri Amazing Challenge is gonna be a breeze! Especially since I love kiwis… green or yellow. When I was approach to take this 14-Day Daily Scoop of Amazing Challenge to consume 2 kiwis a day, it didn’t take much twisting to my arms to say yes! Kiwis are often neglected and deem on the pricier end for fruits but if you know how much one can benefit from these little brown hairy fruits, you might change your mind. I have always had a soft spot for juicy kiwis with its soft flesh, crunchy bits of seeds and sourish sweet flavors. Simply easy to consume, I love this versatile fruit in any way I can enjoy it but the best is still in its original form! 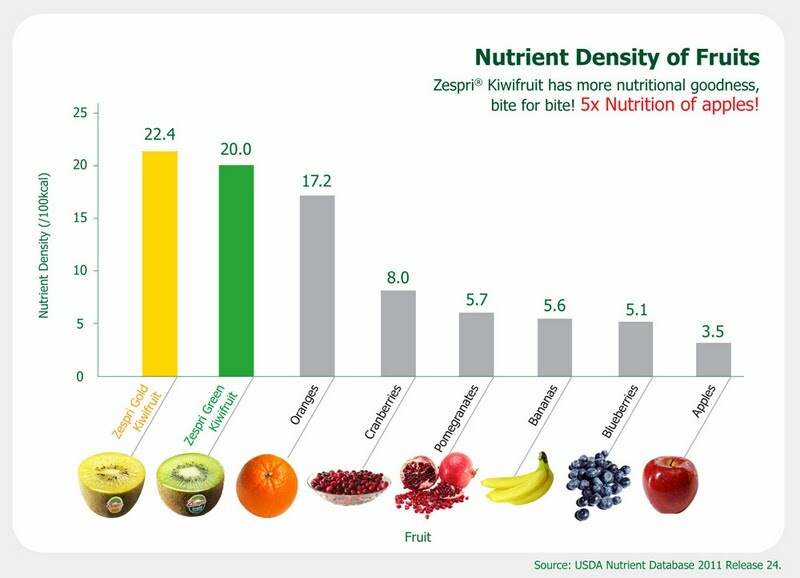 That’s a lot of nutrient stored in this little fruit! If you love kiwis like me, stay tune for more Zespri kiwi-awesomeness to come! Ok with kiwi. I prefer avocado.